areas of safety & As 1677.. 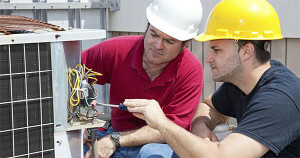 The College of Climate Change partners up students with Nationally Accredited training for the air conditioning and refrigeration (HVAC) industries, including automotive. We specialise in the education and training of flammable refrigerants, including hydrocarbons and also the flammable chemical refrigerants like HFC R32 and HFO 1234YF. These courses are designed for air conditioning and refrigeration mechanics, technicians, manufacturers, engineers and consultants. The courses are run throughout Australia, including all major capital cities and rural locations. As the use of hydrocarbons and other flammable refrigerants like HFO-1234YF and HFC R32 continue to be introduced into the Australian Air Conditioning and Refrigeration industries, it is important that the industry and trades are educated and trained in their safe use and applications.